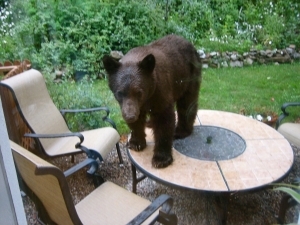 Make your property safe by removing all bear attractants. Have a plan in case a bear is inside your home. 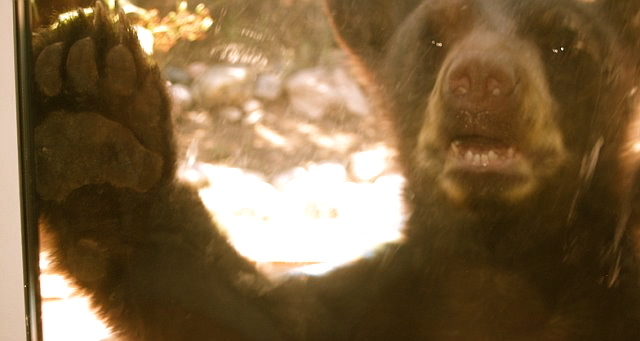 Give a bear that is in your home an escape route by propping all doors open. Place a rock, for example, near all doors to do so. Close all bear-accessible windows and doors when you are gone, asleep or cooking. Replace lever style door handles with round knobs that bears can’t open. Keep a canister of bear spray handy. 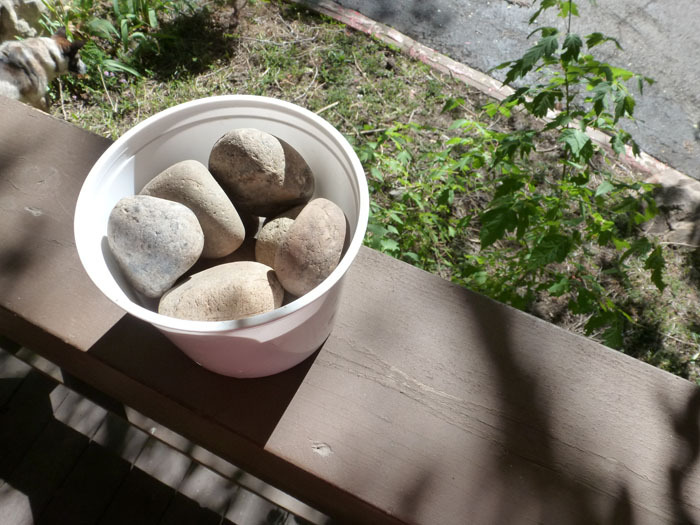 Place a bucket with rocks you can throw on decks or near doors to ward off bears. Be careful with food inside your home. Talk to your children about bears and how to act around them. Never approach bears in your yard and never crowd or harass bears. Immediately report any aggressive or potentially dangerous bears by calling Colorado Parks and Wildlife at 970-247-0855, or 911.